Oak-covered living rooms and bathrooms clad in large panels of veined marble add a touch of luxury to this otherwise simple apartment in the heart of London (+ slideshow). Design firm SIRS, which has offices in London and Vienna, wanted to create a distinctive interior within the 1960s apartment building. 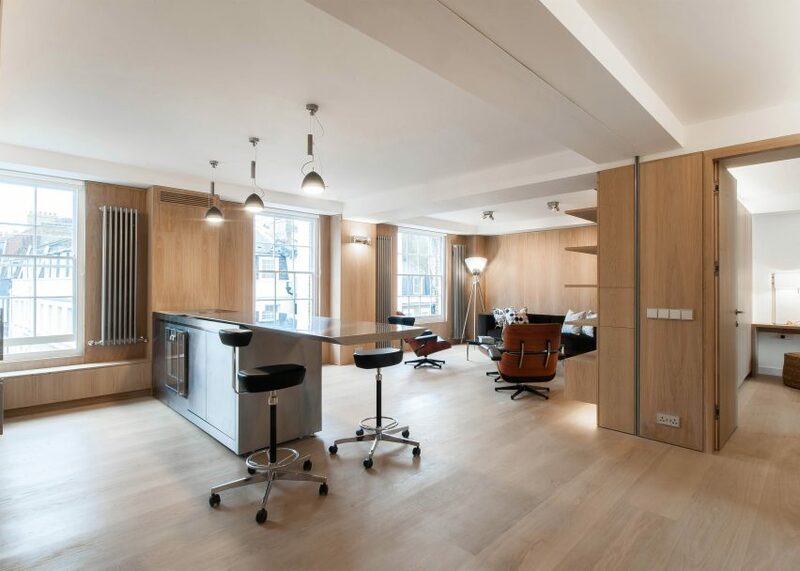 The 80-metre-square flat sits on Curzon Street, Westminster, in the Mayfair Conservation Area. This means it is recognised for containing buildings of historical and architectural interest, and protected by special safeguards. SIRS' renovation is characterised by an extensive use of panels. Large white marble panels with black veins feature in the bathroom and en suite, cladding both the walls and the floor. In the open-plan living area, oak panels are applied to the walls, matching the finish of the floorboards. 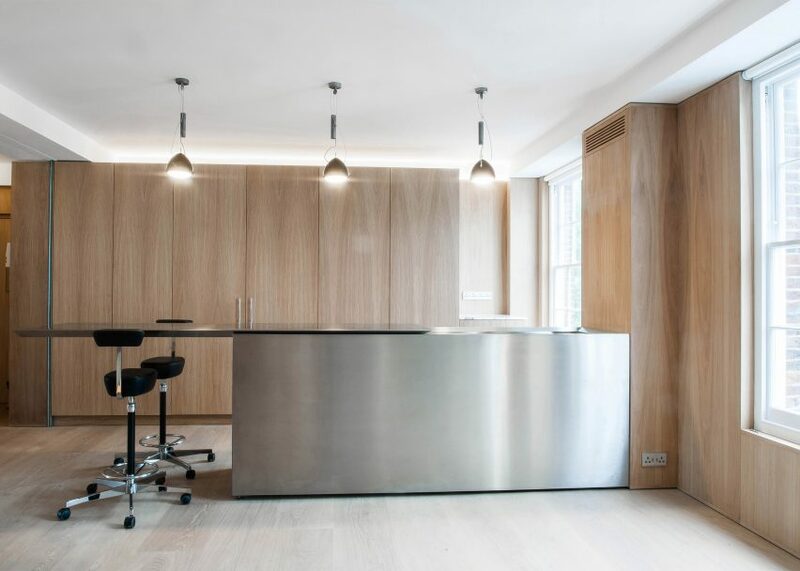 "Solid oak flooring planks were selected in conjunction with contemporary oak panelling and bespoke joinery to achieve a warm interior feel," said the studio. 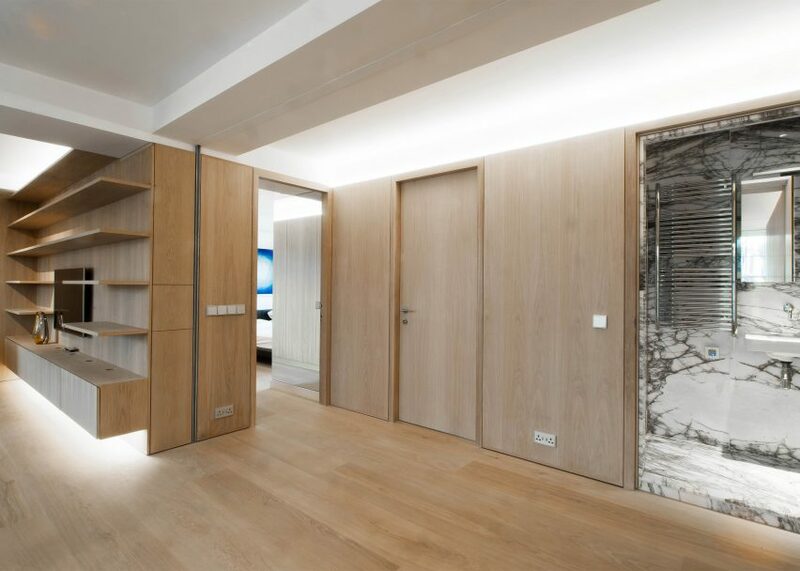 Led by project manager Congreve Horner, the team created an entirely new layout for the apartment, which is located on the fourth floor of a six-storey block. They organised their plan around the single central column that supports the apartment's reinforced concrete framework. SIRS divided the space roughly in half, with the open-plan living area taking up the side to the left of the entrance, and the private bedroom and bathroom spaces on the right. 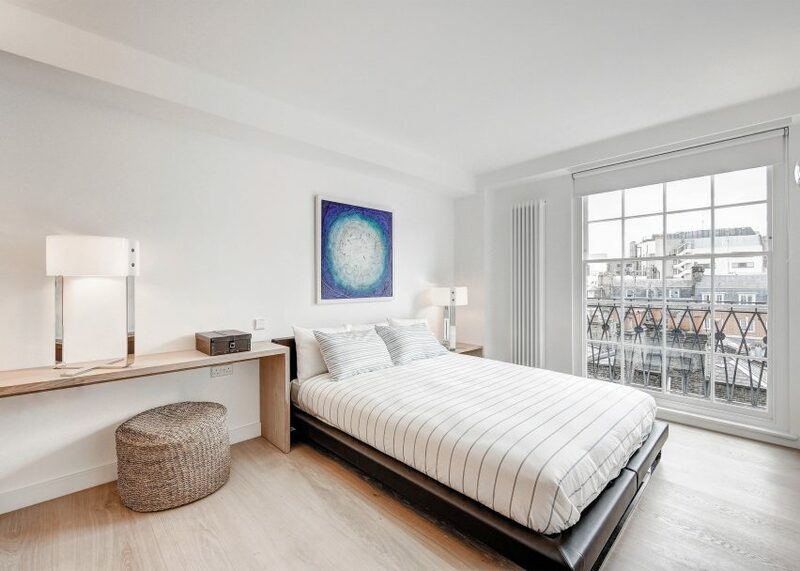 The living area looks out onto busy Curzon Street, while the two bedrooms have been positioned on the quieter side of the apartment, facing Shepherd Market. The flat is minimally decorated with black, mid-century furnishings. 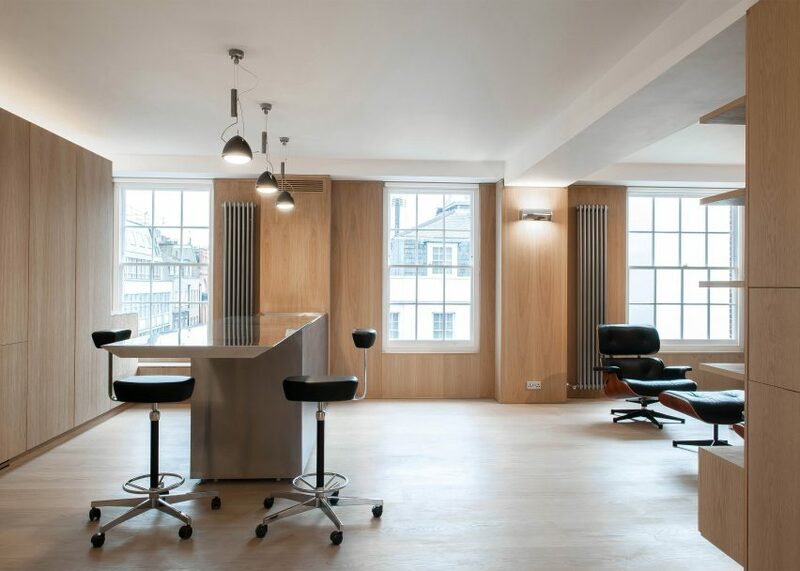 A previous project from SIRS saw the practice renovate a former industrial warehouse in east London into open-plan apartments. It converted the building's top floors into two penthouse apartments.